Aid organizations have expressed alarm as the rate of new Ebola cases more than doubled this month and resistance to efforts to stop the virus has turned violent. WHO has warned the risk of Ebola spreading in the region is “very high” as confirmed cases were reported close to the Ugandan border. It says the risk of international spread is low. Congo says there have been 185 confirmed cases, including 107 deaths. To warrant being declared a global emergency, an outbreak must be “an extraordinary event” that might cross borders, requiring a coordinated response. WHO has previously made such pronouncements for epidemics including Zika in the Americas in 2016, Ebola in West Africa in 2014 and the swine flu pandemic in 2009. Robert Steffen, chair of the WHO’s emergency committee, said that since there is already high awareness of the epidemic’s dangers and an extensive response in Congo, there was “no added value” to declaring a global emergency. However, that if the virus infects another country, that could trigger another meeting. 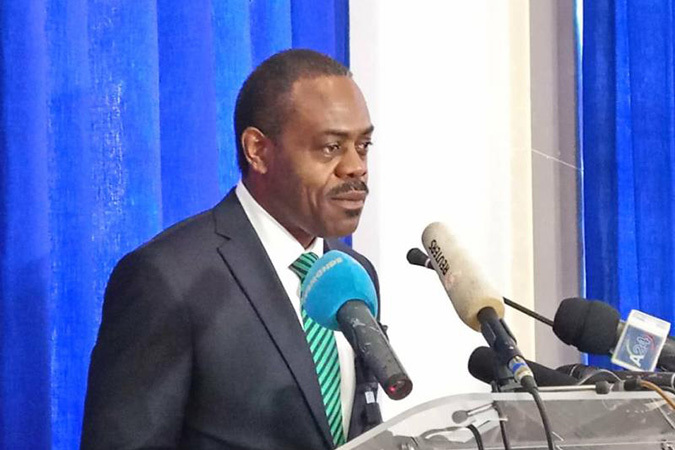 Congo’s health minister, Oly Ilunga, welcomed WHO’s decision, saying that “we are very satisfied with this news. I think the situation is quite under control.” Last week, Ilunga said the majority of cases were not previously identified contacts of other Ebola patients, meaning officials aren’t able to easily track where the virus is spreading. It said these patients’ links to Ebola “were only identified after profound investigation.” Most of the newly confirmed cases have been in Beni, where there has sometimes been violent resistance to outbreak responders. Earlier this month new measures were introduced in Beni, including authorization for health teams to call on security forces during safe burials and criminal sanctions against those who hide suspected cases or don’t send them to Ebola clinics. Experts said such suspicion was fueling the epidemic. “It’s very worrying that new cases are appearing that we can’t trace. If there’s no trust in these experts, it’s hard. But if there’s violence, it’s impossible,” said Julie Fischer, a global health expert at Georgetown University. Shutting down an Ebola outbreak often requires that aid workers convince people to avoid risky behaviors like traditional burial practices and poor infection control. The International Rescue Committee noted that the daily number of cases has doubled just in the last week compared to last month, largely due to the forced suspension of control efforts in late September after a deadly rebel attack in Beni. “If there is insecurity in the region and if the community stops us from implementing our control activities, then our hands are tied. Outbreaks are very hard to predict, but I have a feeling we’re looking at another six months,” said Dr. Michelle Gayer, senior director of emergency health at the IRC. Gayer predicted that unless the situation drastically changes, Ebola could drag into next year. WHO’s director-general, Tedros Adhanom Ghebreyesus, said they were “trying within this year” to stop Ebola. Fischer said it was encouraging that WHO had at least convened its expert committee to reflect on the gravity of the epidemic in its early stages, something the U.N. agency failed to do during the devastating West Africa Ebola outbreak. “The decision to convene the emergency committee is certainly made by people haunted by what happened in 2014,” Fischer said. As the virus exploded in Guinea, Sierra Leone and Liberia in early 2014, WHO resisted numerous calls to declare the situation an international emergency. Not until August, when the virus has spread to multiple countries, and until 1,000 people had died, did WHO call an expert meeting to consider the outbreak’s global implications. WHO delayed declaring the outbreak to be a global emergency for months, partly out of fears such an announcement would anger the African countries involved or hurt their economies.